I’m beginning to wonder, though, where that line is between parenting and brainwashing. The peanut can say, “Go Heels” and thinks that all basketball highlights are of the Heels. We lovingly refer to basketball head coach Roy Williams and former basketball coach Dean Smith as Papa Roy and Papa Dean, respectively. He shouts “Go Red Sox!” And when he eats yogurt, he even requests his Red Sox bib – unprompted – instead of the other, more easily wiped off versions. He can identify pictures of Big Papi, Ted Williams, Carlton Fisk. He can actually say Bobby Doerr and Carl Yazstremski (oh yeah, he can say it). He can identify Fenway Park and say it with the appropriate lack of “r” in Park. He knows Pesky’s Pole and what a World Series trophy looks like (thank goodness!). And before Barack Obama’s historical acceptance of the democratic nomination for president, we called peanut’s grandpa so peanut could chant “Go Obama!” for him. And boy, did that kid get into it after our cheers of praise. Growing up, I think I knew that my parents were Democrats, but when it came down to election day, they never would say who they had voted for. I remember my sister and I trying to trick my dad into telling us each November. It wasn’t until we were old enough to hold our own in a political discussion about our own ideas that I really remember them being obvious and direct about their feelings on an election or issue. They understood, and taught my sister and I, that it was an extremely important and extremely personal decision. Similarly, the hubby and I are not vocal outside our four walls about our political beliefs. I feel that everyone has reasons for casting their vote for the person they choose and do not think it is appropriate to insinuate that those reasons are “wrong” even if I choose to vote another way. Do I agree with everything that either candidate says? Most certainly not. Do I agree with every stance of one political party? Nope. That’s what makes voting in this country such an enormous responsibility – you do have to look at the issues that are important to you and your family and make a choice you can live with. I want my child to learn to think for himself and make his own decisions. So at what point do I stop putting words in his mouth? Right now, it’s a fun party trick. He’s two years old and certainly won’t remember his verbal support of one candidate or team over another. Still I take a moment at times like this and hope that I don’t do anything to screw it up. Oh, this parenting business is so complicated. If anyone still has their manual hanging around, I’d love to borrow it. The hospital appears to have forgotten to give me one at check-out. Ilina at Dirt & Noise tagged me. The gist of the meme is to share the six words that define your life. I started to think about this and realize it could be a different six words every day. There you have it. I’m supposed to tag five more folks, but I’m really bad at it and hate to tag all the same folks each time. So, again, consider yourself tagged and feel free to play along. The two year drought that Georgia is experiencing apparently means more than using recycled water to keep my container plants alive, turning the faucet off while doing dishes or brushing my teeth, dead grass in my lawn and struggling hydrangeas in my borders. It means I don’t know what to do trapped in my house with a two-year old. With the remnants of Fay dropping much needed rain on our region, we have been driven in doors. I honestly can’t remember the last time we were not able to play outside. We play at the playground across the street from our house every day. We feed the ducks and play at another local park at least twice a week. We’re at the pool. We draw on the sidewalks with chalk. We play in the sand and water table on the back patio. If it’s really hot, we’re out early in the morning. In the winter, as long as it’s above freezing, we can go outside. And we do. We are outside. Every day. And we’re a better family for it. Peanut loves being outside. Even as a newborn, just swaying on the front porch in the fresh air would calm down any crying jag. As an infant, we’d sit on the porch waiting for the hubby to come home from work and I’d count the cars for peanut and he’d smile. Dinner prep always goes more smoothly if we’ve been outside at some point during the day. Nearly any tantrum can be stopped, any attitude turned around (at least for a half-hour) with a quick trip to the swings or the backyard. We work out twice a week at an outdoor park and have not had a class canceled due to rain since March. Since MARCH. And now, it’s been raining since yesterday. We’ve finger painted. We made cookies. We made a fort in the closet this morning (although that was because of the tornado warning that popped up all of a sudden during our breakfast routine). We made block towers. We’ve read stories. We made a trip to the post office in a brief break in the deluge. I feel totally guilty that I’m stressing out about what to do with my kid inside all day. But I’m running out of ideas. A day inside isn’t inherently a bad thing, it’s the pressure of knowing that if we have a major meltdown later, I don’t have an attitude escape plan. But as I type this, the sun is starting to break through. I see a patch of blue sky. Ah, sunny salvation! Move over Milli Vanilli, Annie’s got a new song for this mama. I’m not going to get into the nitty gritty. I’m working on all that stuff myself. But in the midst of my contemplation, I have had a simple tune running through my head. Something I can’t seem to get rid of. Something that no matter how worked up I get that I can’t find the solutions or the ability to let go of my annoyed feelings, it always makes me laugh and I remember that there is always more than one way to get somewhere. So, on this Sunday afternoon as I sit pondering while the peanut naps and the hubby is running errands and I procrastinate again about editing something that actually has a deadline, I thought I’d share. When Did Lunch Get So Complicated? My normal lunchtime companion is a very handsome, highly entertaining two-year old with quite the throwing arm, at least when it comes to noodles, grapes and sippy cups. I recently came across the topic for a monthly luncheon meeting of a professional organization I used to belong to back in my “working” life. The topic is an interesting one and fairly relevant – it’s focused on the impact social media (like ye here blogosphere) has on public relations (you know, that segment of professional communications that used to pay the bills around here when the hubby was in grad school). I’m very tempted to go. I don’t really work in PR anymore. (Although that doesn’t mean because I’m not today I won’t be tomorrow or next week or next month or next year). What would I say during all those small talk conversations? Yeah, hey, I don’t really have a job, just a mom with an interest in blogging. Here’s my card…oh wait, no cards. Hmmm…I do have some Cheerio crumbs and a few wet wipes, will that work? The lunch costs nearly $50…I feel guilty if I spend even $8.00 on lunch during the week when I have perfectly good peanut butter and jelly at home. Who would I sit with? I’ve been out of the loop for two years and was only starting to get established in the local loop before I left it. What would I even wear? Could I pull off wearing heels in the middle of a mommy day? I’ve been wondering a lot lately about what’s next, career wise, and when. I haven’t come up with any answers yet, but I think wading back in will be a much better course than jumping into the raging ocean. Especially considering I’m not committed to even going swimming right now. Maybe lunch is the answer. A nice way to check out what’s going on, maybe learn a few things, meet some new contacts, maybe drive a little traffic to the old http address. So, I’ll brush up on my small talk, print those cards I’ve been meaning to print and raid the closet for something resembling a professional look. And at least I won’t have to dodge flying noodles and sippy cups. I hope. * I nap every day for three hours at 1pm. Until I don’t. On the day that you really have a lot you need to do while I’m sleeping. * I love to color, unless you ask me to draw Nana a picture in her thank you note. Thanks for keeping me on my toes, kiddo. I promise to never, ever, ever mention something I’m proud of you for NOT doing because I know you will suddenly decide you want to do the opposite. If you’re reading, peanut, I hope you never learn how to use the potty, particularly any time soon since your daddy and I just love, love, love changing your smelly messes. Although if my hypothesis is correct – that just when I think I’ve figured it out he switches it up on me – then that potty statement will be the first thing I’ve said in weeks that peanut actually decides to listen to and I’ll be changing diapers until he hits kindergarten. While watching the Olympics this week, I wonder about the athletes parents. Michael Phelps’ mom is always in the stands with the whole family cheering loudly, jumping for joy at each unimaginable accomplishment. Nastia Liukin’s father is her coach. Offering high fives and apparently saying there is only one color medal acceptable to the family (thank goodness she procured the right one). But what really has me stumped, is how do these parents recognize the talent in their children (okay, well maybe it was easier for Nastia whose parents were excellent gymnasts in their own right)? How many of us were possible Olympic athletes or ground-breaking scientists or musical geniuses who weren’t aware of the potential within? Or is it a given that if you have the talent, it will somehow reveal itself? That this type of passion bubbles up to the surface whether someone taps the well or not? Will I know what peanut’s hidden talents are? Will I recognize some kind of physical or mental prowess that I haven’t had experience with? What is the line between encouraging a hobby, talent, sport and pressuring? I have a hard enough time figuring out my own talents not to mention someone else’s. I suppose I have some time to figure it out. Right now, peanut’s special talents include the noodle toss, nekkid baby hallway laps, and crib flop. Last time I checked, these aren’t Olympic medal worthy. The lovely Goddess in Progress has tagged me with a new meme. And since I’m feeling lazy and watching last night’s women’s gymnastics finals on the DVR (yes, I already know what happens…that’s what I get for falling asleep on the couch at 9:30), I’ll take a stab. 1. I am the oldest of two (just me and my sister) and the fourth cousin in line on both my dad and my mom’s side. I just realized that. 2. I am really bad at math. Always have been. It all goes back to the second grade where I somehow got my greater than and less than signs backwards, so when we took the “refresher” test at the start of third grade to see where everyone stood, I got them all wrong. And since then, well, math has been a mental block. Somehow, someway, by taking the AP Calculus test (remember #1? I was the oldest, therefore the overachiever…but it was the “less hard” of the two Calculus courses offered in my high school) I managed to place out of math in college. I’m still not convinced it wasn’t some kind of scoring error, but I certainly wasn’t going to ask for a recount. 3. I have worn a sling in my life twice – once for each arm. When I was four year’s old, the tip of my right ring finger was cut off in a freak sandbox accident. It was sewn back on, but the weeks that I was immobilized in a sling to keep the blood flow level were horrible for a four year old. I couldn’t color well. My parents took me to a petting zoo (with one hand? hello? what were they thinking?) and I was totally off balance trying to avoid those over-aggressive goats! When I was in the fifth grade, I flipped off a jungle gym and broke my left arm up near my shoulder. 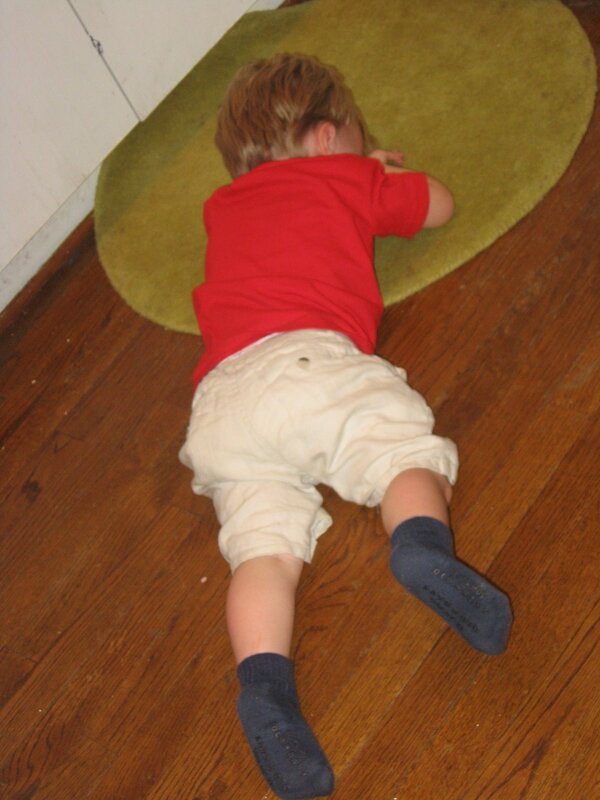 I passed out on the walk from the playground to the nurses office – yes, the school should have called an ambulance, but it was a substitute PE teacher. Ended up in another sling for a lot longer as the arm healed. Not fun. 4. I can pee for a long, long time. My sister thinks it’s hilarious when we’re out and I have to go. I am always in there forever. I recently realized it might go back to my potty training. Apparently, early in my potty training, mom took me to out to run errands and didn’t realize until we got home from doing nearly four hours of stores that I hadn’t gone. She was prepared to clean up an accident, but instead, I ran in the house straight for the potty. I’m sure that was my first really long pee. I guess that first one set a precedent for my bladder. 5. I have never traveled outside the country. Well, I went to Juarez, Mexico while in El Paso for the Sun Bowl my freshman year in college. But all the velvet Elvis and creepy guys trying to lure the blond girls into their vans made it more of an icky experience than a cultural one. 6. I love to check the mail. Email, snail mail. Whatever. I love checking both. That moment of excitement before you open the virtual or real box knowing that someone you care about might have taken a moment to write. Don’t get me wrong, I love email. I rely on it for day-to-day contact. But whenever I get a card or letter in the mailbox, love it! It doesn’t happen much anymore, does it? I try to send out a few to folks to show them that I’m thinking about them in the hopes that the mail karma will eventually find its way back to box. So there you have it. Six un-spectacular things about me. Back to a few spectacular and un-spectacular performances from last night’s games. Maybe tonight I’ll be able to stay up to actually watch a few events live. After a whirlwind weekend of cramming in as many special moments as possible for peanut’s birthday to compensate for being far away from family (although he did get a visit from grandma and grandpa), I’m officially pooped. There was the breaking out of the trains (NOT Thomas) and train table Saturday morning, trip to the zoo with the grandparents, picnic lunch, cupcake baking, going out for pizza, eating of the cupcakes, blowing up 25 balloons, playing with 25 balloons, eating more cupcakes, baking a cake, cutting the cake into a train shape, frosting the cake, gearing up for the play date with five other two-year-olds, eating more cake, followed by today’s two-year-old doctor’s appointment and my visit to the dentist. And now, for the first time since Friday morning, I feel like I can exhale. It was a wonderful weekend full of giggles and joy and excitement. Our little guy is turning into quite a big boy and the trains were a hit. Not just a hit. A total home run. But mommy, I wanted the GREEN cup, not the BLUE one…WAHHHHHH! Or maybe we’re both just so exhausted that we’re easily prone to outbursts of crankiness. At least I can say he’s developmentally on track…I guess. I have not been one of those “together” moms who writes monthly letters to her children. In a way, what I do here a few days a week is the same thing, but not nearly as eloquent and directly loving to my offspring as are the letters I read to your peers. Sorry about that. You will learn, and hopefully it will be a shock to you, that your mother is far from perfect. The only thing perfect is her love for you, the manifestations of that love, not always as pristine, but the unconditional, heart-bursting, want to munch on you and listen to you giggle for eternity love feelings? Oh yeah. They are P-E-R-F-E-C-T! This last year has been quite the ride. Year one was just all about getting you ready for the big changes to come this year. You eat anything and everything. Well, sort of. You’ll only eat fresh green beans (not frozen or canned and they should be crispy, but not too crispy). You LOVE LOVE LOVE broccoli. You haven’t met a fruit you didn’t like. Chicken is okay, some days better than others. Pizza is your favorite food. I’m not sure if it’s a favorite to your taste buds or just a favorite to say so you ask for it every day for breakfast, lunch and dinner. Don’t worry, you don’t eat it nearly that often because mama has willpower! Chocolate does not appear to agree with you totally, so you don’t eat it much. But you do love sweets – ice cream, cookies, cake. You get that from your mama. You love your milk and are particular about when you do or don’t want ice in your water. When you’re in a good mood, you do an excellent job drinking from a big boy cup. You are getting more and more skilled using your fork and spoon. Ironically, you are more accurate when you use your left hand (but you tend towards your right hand when you color or draw), although you’ll try with both. You recently started singing, which your daddy and I think is the most adorable thing ever. Your current favorite songs are “Vegetable Town” by the Bare Naked Ladies and the ABC song, although you sing it like this: “ABCDE mumble mumble M mumble TICKLE ME!” Adorable. Although you’ll repeat just about anything you hear in a song, including that annoying “dot com” in the Expedia commercials you see when mama’s trying to sneak in some Good Morning America. You love to run. Your favorite activity is to run around the house before bath changing “naked baby run around, naked baby run around”. The squeals of delight make us laugh every time, and it’s a favorite amongst our house guests. You can’t quite jump yet. It’s a little silly to watch, but you’ll get there. You are very particular about whether you are “hopping” or “jumping” although they both look the same to an outside observer. You are a climber. Mommy’s little monkey. Nothing is too high, too bumpy, too strange to climb. You climb on your mommy and daddy. You climb on the sofa cushions. You climb up on the bed now. You climb out of your Pack and Play, but so far not the crib (thank you for that). You climb all over any and all pieces of playground equipment, whether they are designed for climbing or not. You are obsessed with tunnels. I don’t know why, but everything is a tunnel. Driving through some dense tree cover: tunnel. Hiding under the covers: tunnel. Whatever makes you happy. You are also currently obsessed with trains. Choo-choos. That go “whoo whoo”. It’s non-stop. You love animals. You love identifying animals. The Zoo membership Grandma and Grandpa got us for Christmas has been a wonderful thing and we’ve definitely gotten their money’s worth. Panda bears are a big favorite as is the kimodo dragon. We saw him flick his tongue out like a snake once and now you do a “dragon” imitation whenever we even mention the zoo. The elephants and other big animals are also a big draw, but the playground, train and carousel are also favorites. You have friends and enjoy playing with them in a sort of follow the leader type of play. The leader often changes and you all seem to communicate changes in the game with a glance or a simple hand gesture. You are starting to play with stuffed animals and showing empathy towards them. You’ll share snacks with them, kiss their owies and tuck them in. As far as I can tell, you are a very caring individual and this mommy is doing her best to encourage that behavior. Not that you don’t have a few bugaboos. You are in another food-throwing phase that is deliberate and annoying. We are constantly in a power struggle to get you to not throw your food around and then to pick it up when you’re done. Timeout is a game and I’m not sure how we’re both going to manage the transition from one minute to two since you barely sit their for one (and that’s after chasing you around the house and placing and replacing you on your little time out mat what seems like 100 times). You HATE having your teeth brushed. Can’t stand it. It’s torture on all of us. I’m not sure if it’s because you still have teeth coming in or what (because you are seriously the world’s slowest teether – you have four top and four bottom in the front and some molars and are finally filling in the gaps between those molars and the front teeth). I shudder to think of the first time we have to take you to a dentist (oh goodness. Do we need to do that soon?). You make a new face – your smiley face – where you scrunch your eyes shut, wrinkle your nose and give the craziest wide lipped smile I’ve ever seen. This new face is so you. The you I saw when you were laid on my belly, slippery and still attached, wailing at this new world. The you that we caught on video tape when you were nine months old having a full on giggle fest. The you that snuggles and squeezes and kisses. The you who lights up when you’ve made your mommy and daddy laugh. Every day is a dream. I don’t remember my life without you. You turned the hubby into a daddy. A fabulous daddy. You’ve magnified what was good about your daddy and I and our marriage and slowly molded a family out of it. You make the last two years seem like forever and like a nanosecond all at the same time. Your mommy and daddy love you so much, peanut. Happy Birthday to my big boy!